If you are looking for something unique, that stands out, that represents well - This is it! Our new acrylic cardigans a heavyweight, feel great, and look even better! 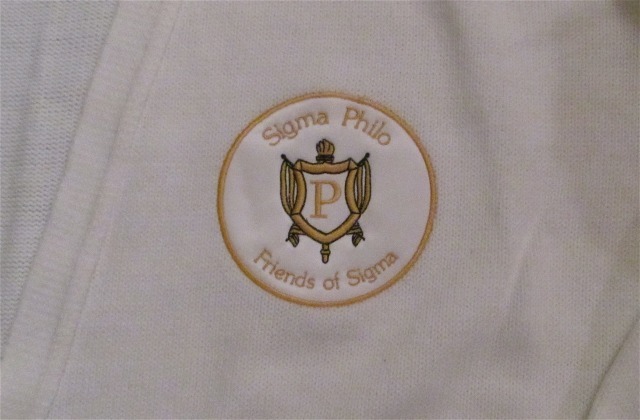 At this price, they come with an patch over the heart that features the Philo crest and "Sigma Philo", "Friends of Sigma" embroidered beautifully on it. Add stitched letters down the side for an additional charge that completes this classic look! 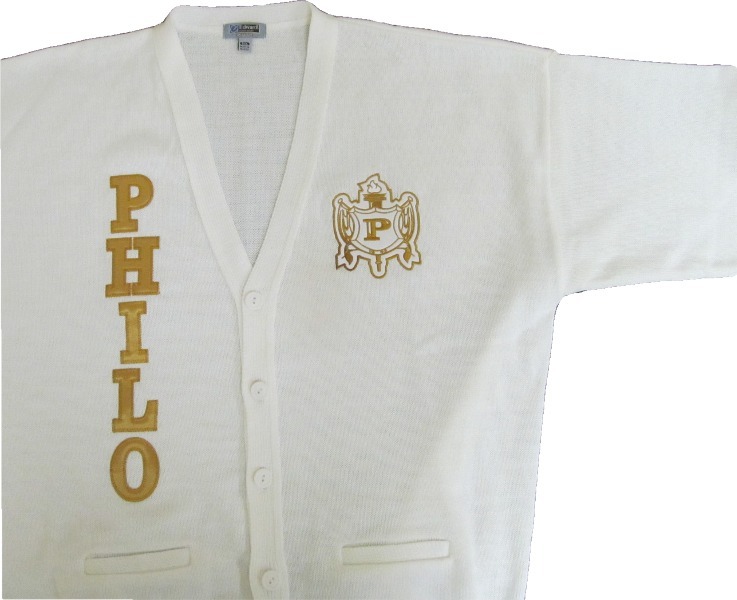 * Vegas Gold lettering and embroidery shown in main picture. It also shows the embroidered crest. Circle crest patch is shown to the left.